PRWeek's inaugural 'PharmaComms' conference, featuring the cream of public and private healthcare communicators, will take place next month in London. Comms professionals in the pharma sector are facing a multitude of challenges, including a healthcare system under unprecedented pressure and a social-media-savvy public. Despite these challenges, there has never been a more exciting time to work in the sector, with significant opportunities for creativity and innovation in the planning and delivery of proactive and reactive content. 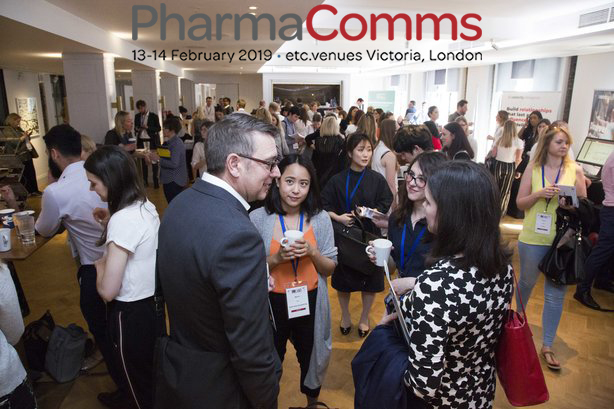 PharmaComms 2019, a brand new two-day conference from PRWeek, taking place on 13 and 14 February, will bring together marketing and communications leaders from across industry, government and trade bodies to address the specific challenges and opportunities set to transform pharmaceutical communications. Among the speakers and panellists at the conference are Keith Jordan, policy, access and comms director at Roche; Simon Enright, director of comms at NHS England; and Peter Impey, managing director of healthcare agency 90Ten.